WhatsApp is a popular messaging app with about 1.3 billion users worldwide. It has over 1 billion active users who send and receive about 55 billion messages, 1 billion videos are being sent on a daily basis and about 4.5 pictures are being shared daily. Not quite long WhatsApp introduced Video call and audio call feature to chats, which has now been extended to group chat. Ofcourse yes, there's voice message too and that's the main topic of this post. Voice message is being used by millions of people on WhatsApp, as it's the most fastest way of passing a message to another contact on WhatsApp. It's very helpful if you find it hard or tired to type a long message. It saves you time and energy used in typing and making corrections to words. However, as a recipient, you received a voice message or voice note and you find yourself in a noisy environment where you won't be able to hear the message details. In this post, i will be showing you guys how to transcribe voice message into text. 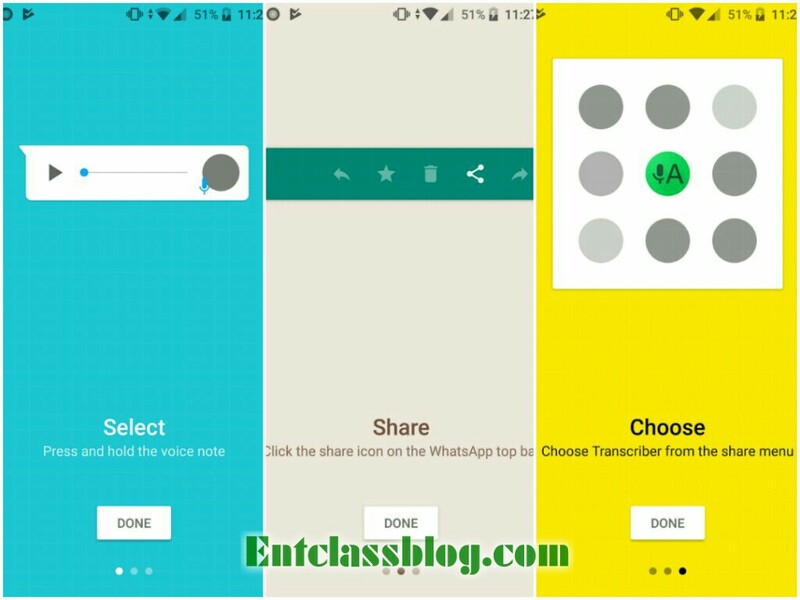 First you need to download Transcriber from Google PlayStore Here. Now choose the preferred language in which you want to transform the voice messages into. Next, open your WhatsApp and then navigate to chat, long press on the voice message. 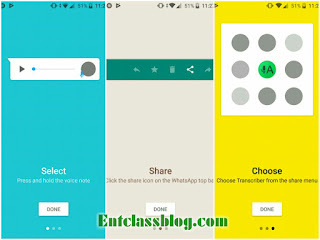 Now the app will automatically convert the WhatsApp voice message to text. That's all. I hope this helps? Kindly comment below and share this post with friends. Really? a reverse of text-to-speech, I wonder if it can also transcribe our pidgin English as well. It's really worth checking out. Nice one bro. Keep up the good work! wow... this is nice, I am going to try it out now, thanks for this post, it would help alot of people.